The Sheriff’s Office will hold an 8-week-long Sheriff’s Civilian Academy for residents of Middlesex County in the Fall of 2018. Applications are being accepted now for the program, which will be held at the Middlesex County Fire Academy located in Sayreville. The first session is scheduled for 7 to 9 p.m. Tuesday, Sept. 11th. Classes will continue weekly on Thursdays. One Saturday class will be held. The program culminates with a graduation ceremony scheduled for Tuesday, October 30th. Applications are due no later than Aug. 23rd. The application will be used to determine suitability for the program. Applicants must be at least 18 years old, reside within the County of Middlesex, have no felony convictions, not be wanted for any crime, and submit to a limited background check. For more information on the Sheriff’s Civilian Academy, contact Sergeant Frank Sautner, Academy Coordinator, at 732-745-5909 or email frank.sautner@co.middlesex.nj.us. 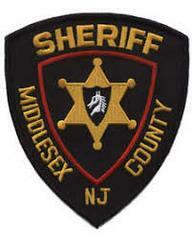 For more information on the Middlesex County Sheriff’s Office, please call (732) 745-3382.